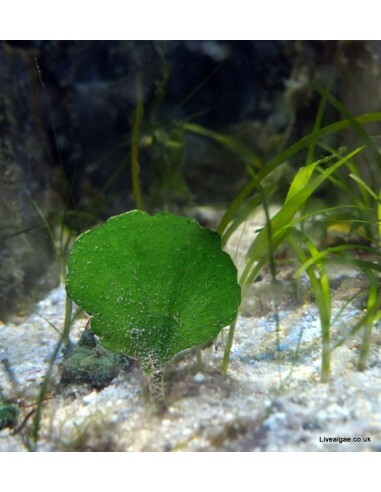 Commonly called the Mermaid's Fan plant is a real eye catcher for the planted marine aquarium. 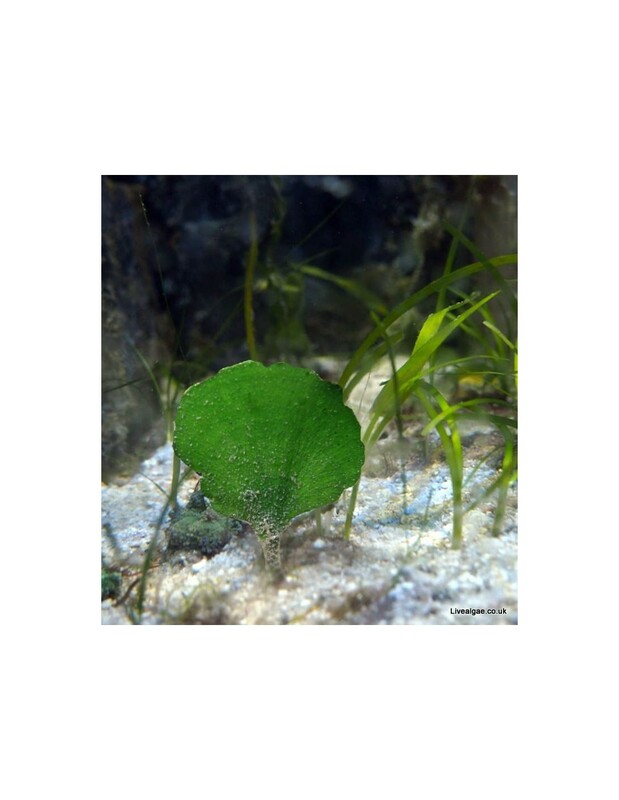 It is a green calcareous algae which features at the end of its stems a dark green fan shaped top. It will hold itself with rhizoids in the substrate, which should be deep a few inch deep therefore. As this alga is a very calcified macroalga it is often not eaten by fishes and critters and it needs good calcium levels in the water. Although it can grow on rock ( by super glueing it for the start ) it will spread wider and better when it is placed in a sand bed or gravel, which should be preferable min. between 5-10cm deep. Whitish parts of it should be removed as they are decomposing. Out of water and in transit it might turn white, but back in the water, it will turn after a few hours back green again.